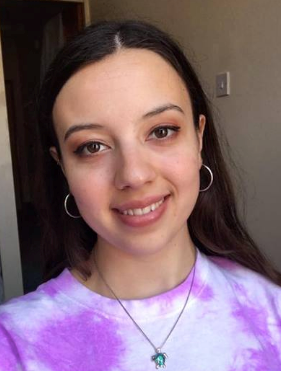 Author’s Bio: Chloe Petmezas-Walker is a Criminology graduate from the University of Leicester and winner of Scarman prize for best dissertation 2018. I was a member of the Kaos Organisation (a theatre company and signing choir for D/deaf and hearing children), from the age of four to eighteen and therefore I have grown up with an awareness of D/deaf culture and sign language. This has led me to consider the lack of awareness and visibility of D/deaf individuals and culture in day-to-day hearing life. So when it came to choosing an area of study for my undergraduate dissertation, I found myself wondering how this general lack of awareness might affect the D/deaf community in their experiences with the criminal justice system. As Roulstone and Mason Bish (2010) indicate in their edited collection on the topic, the disabled community are a marginalised community, which means they are more likely to be victims of crime and find it more difficult to attain justice. Disablist hate crime is prominent in the UK, however there exists in society a ‘culture of disbelief’, as outlined by the Equality and Human Rights Commission (2011). This means we do not like to think of others hurting people with disabilities, because we often view them with pity and in need of care. Consequently, society is unaware of the everyday experiences of disabled people, so rather than trying to tackle the deep rooted issues surrounding the victimisation of disabled people, focus tends to be on social care and protection rather than providing them with fair legal services. The ineffective responses of the criminal justice system in tackling crime against the disabled community is clearly rooted in the way that society views disabled people, as lesser beings. Therefore, their struggle to access justice remains overlooked. Invisibility in the eyes of the criminal justice system – police are unaware of their unique culture and therefore have a lack of awareness of their needs. Issues of communication – Police are not properly trained to communicate with D/deaf individuals and there are not enough interpreters to aid a large D/deaf population. Alternatively, ineffective methods of communication are adopted such as hand written notes. This may be difficult for many D/deaf people, whose first and only language is British Sign Language (BSL). Lack of interpreters – Having to wait for an interpreter can cause stress and anxiety and consequently disengagement with the criminal justice system all together (Rossetti, 2015). Lack of specialised resources – Members of the D/deaf population may not report crimes committed against them because they do not know how to. There is a lack of specialised resources such as brochures to inform D/deaf individuals about the criminal justice process and how to access services. Fear – Some may avoid reporting because they are afraid of the various barriers they may face (Barrow, 2008). The aims of my research were to discover how the D/deaf population perceive the criminal justice system and its ability to effectively support their needs. I spoke to a few D/deaf charities who I found through Facebook, one of which posted my survey on their page. I also contacted Kaos and family friends who could share the survey. Seventeen people answered the survey in total and the questions ranged from feelings of safety to likelihood of reporting various crimes. Moreover, faith in the police and satisfaction with the resources available to aid D/deaf and hard of hearing individuals. When it came to reporting, the more serious a crime, the more likely people were to report it. The majority of those who completed the survey would not report a low level crime such as verbal abuse. When asked about why they might not report a crime, half of the people were reluctant because they didn’t think the police could do anything to help. A common concern was not being able to communicate with them. Three people didn’t even know how they would report a crime. There was mention of limited police training on how to collect evidence from a D/deaf person. Furthermore, some D/deaf individuals are fearful of going to the police because they may be misunderstood or get into trouble. The majority of people’s faith in the police was neither strong nor weak and their criticisms were not of the police in particular but of the criminal justice system and their resources as a whole. This research signifies a need to focus on making the criminal justice system more accessible to D/deaf and hard of hearing people. Barriers to reporting include a lack of sign language interpreters and limited knowledge and training with regards to how to work with D/deaf and hard of hearing people. Moreover, there is a lack of knowledge among the D/deaf community in navigating the criminal justice system and how to report a crime. Therefore, this research has emphasised the need for education within the criminal justice system on D/deaf culture and how to work with people with varying degrees of hearing. Lastly it has highlighted the general lack of awareness of D/deaf culture and the marginalisation of those who are D/deaf and hard of hearing in wider society. Further research is needed, in order to gain more of an understanding of the extent to which these issues affect those from the D/deaf community and those who are hard of hearing. Admire, A. and Ramirez, B. (2017) ‘Violence and disability: experiences and perceptions of victimisation among deaf people’, Journal of Interpersonal Violence, Online First: 1-25. Barrow, L.M. (2008) Criminal Victimization of the Deaf. LFB Scholarly Publications. Bauman, H.D.L. (2004) ‘Audism: Exploring the metaphysics of oppression’ Journal of Deaf Studies and Deaf Education, 9(2): 239-246. Equality and Human Rights Commission (2011) Hidden in Plain Sight. The Kaos Organisation (2019) Available at: https://www.thekaosorganisation.com/. Rossetti, P. (2015) Victim Support: Waiting for Justice: how victims of crime are waiting longer than ever for criminal trials. Roulston, A. and Mason-Bish, H. (Eds.) (2013) Disability, Hate Crime and Violence. Oxfordshire: Routledge. Sin, C, H. (2012) ‘Hate crime against people with disabilities’ in Hall, N, Corb, A, Giannasi P and Grieve, J. (Eds.) The Routledge International Handbook on Hate Crime (2014) Routledge, London: 193-206. Smith, N. and Hope, C. (2015) Culture, language, and access: Key considerations for serving deaf survivors of domestic and sexual violence, New York, NY: Vera Institute of Justice, Center on Victimization and Safety. Can I share this with my friends in the Deaf community?